The card art is cute and makes up for such an ugly figure. 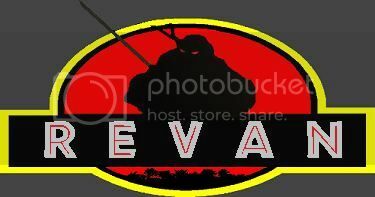 I'd buy it though. Thanks for posting this Rose! Well, here I am again! Look what I've found. And just in time for the movie's premiere tomorrow! I'm guessing the artwork has been stolen from the original package? Title fixed and sticky added. Fighters of the World? AWESOME. That's the coolest thing I've ever seen, I want to buy those! Last edited by BigApple3AM; 04-05-2007 at 09:42 PM. I have some 80's bootlegs up for sale anyone interested? I'll post pics if you guys are and you can send me offers. let me know. Looks better then the real movie toys. ZING! 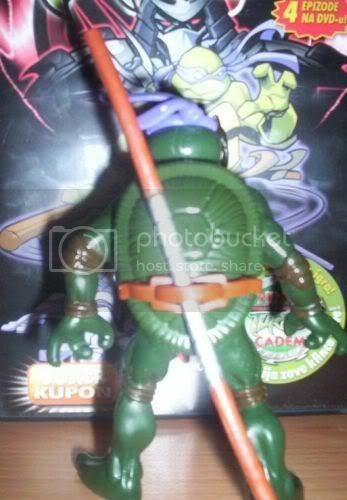 Which bootlegs do you have for sale? my camera is being fixed of I'd post pics but I guess I can describe them to you if you like. oh and sorry I'll be getting to you on the loose figures tonight! 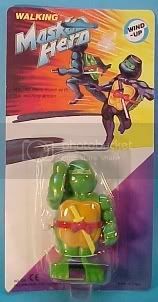 I'm very interested Putre, especially if you have the talking turtles where you pressed their belt and they said cowabunga. He must have finally gotten a job as aprils new camera man! Here is an interesting one. funny. there are two leos. and their bandanas are dew rag style. Ew, weird but I like it. 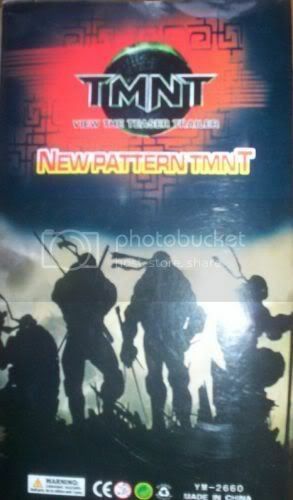 I found a weird plush on eBay it looked like a mummy raph but I forgot to bid on it. 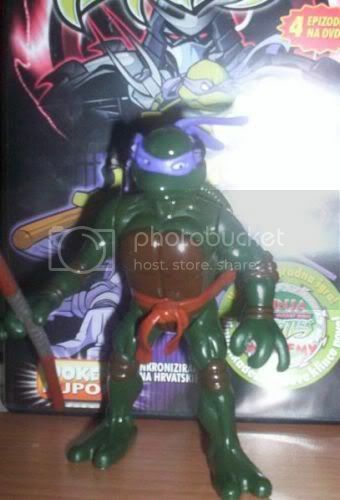 There was also a donatello with a long tongue sticking out. I was able to get this one, it's cute but the tongue thing is strange. hah! Ninja shrooms of Death! I couldn't pass up this thread. I was in Bulgaria a few years back (consequentally, throughout 2005 I was within 20 miles of Serbia's border stationed in Kosovo, so Hail to you P T!) 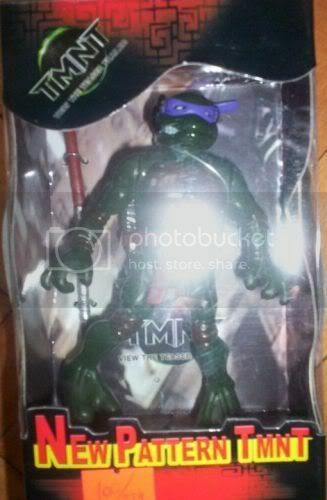 and when I was in Bulgaria I hit a black market and found some Ninja Turtle figures and picked them up. Mint in the bag! 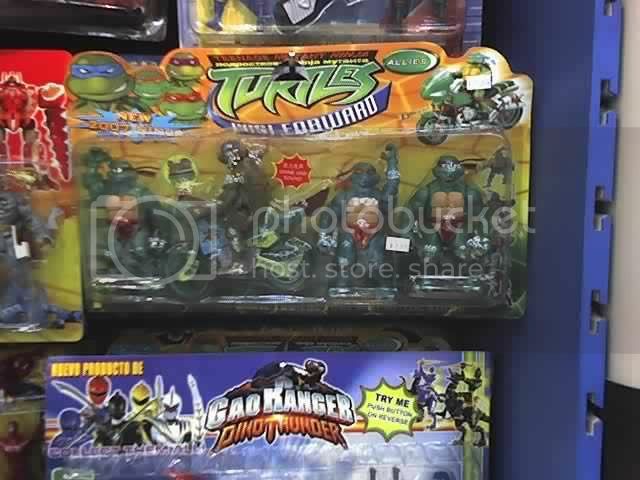 There's that 'Knot's Moveable (Articulados) Turtles' signage again. I thought I had picked up the whole set, but for some reason I can only find Leo and Mikey. If I remember correctly, I paid 4 lev a piece for them, which at the time equaled to about $2 a turtle. But alas, I don't remember entirely. I picked them up for kicks and giggles. There is definitely a difference in quality with these vs the legitimate action figures.